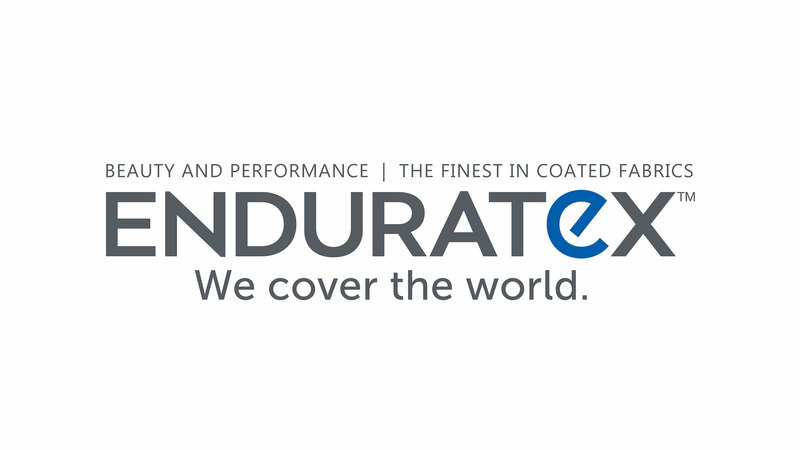 Enduratex is a leading supplier of versatile and colourful performance coated fabrics. Selected Enduratex products are specifically designed to meet the needs of the Automotive, Contract, Healthcare and other public space industries. A woven looking vinyl material in a variety of different colours with Enduratex’s Forbid topcoat. A bold contrast of colours in a unique pattern complete with the Forbid topcoat, perfect to make your project stand out. A classic, durable leather look vinyl that’s cost effective, is fortified with Enduatex’s Forbid topcoat, and offers a diverse range of colours. The classic carbon fibre look with striking metallic colours and Enduatex’s superior Forbid topcoat. A stunning collection of soft colours, subtle texture and a realistic suede-like appearance. A specifically textured leather look vinyl fortified with Enduratex’s cleanable Forbid topcoat. A specifically heavier grain textured, leather look vinyl fortified with Enduratex’s cleanable Forbid topcoat. Phantom offers a vibrant, new and different look for perforated vinyl by having a colour run through the middle, sure to make your next project stand out. A leather-like vinyl appearance sporting a popular colour line that’s suitable for any application. Our popular marine vinyl with a wide range of colours, perfect for all of your marine projects and other applications. A widely used anti-slip finished vinyl product. Marine upholstery underlining allows your boat and patio seats to air dry without mildew buildup. "After contacting Boyriven for advice on fabric selection, I was left in no doubt that I had contacted the right people for the job. Great communication, service and products!" "Boyriven delivered everything in a very efficient and timely manner with complete reliability. We are delighted with the products supplied and service provided." We have an extensive selection of fabric held in stock to suit every type of project. View our fabric samples here. Boyriven - Your perfect finish.